Do you ever sit down to read the Bible, pray, or work on something important, and find yourself distracted by all. the. little. things? I was talking to a reader online this week, and she was sharing how hard it is to focus, especially when it comes to important things. I totally get it. It seems like the more important the task is, the more easily I get distracted. So for you, and me, and my friend, and everyone else who lacks focus during daily devotions, I offer this simple prayer. Oh Lord, You know my heart. You know I sincerely want to grow closer to You and spend time with You, but I get so easily distracted. Like a silly sheep, my mind wanders, and I find my thoughts far from You. Forgive me for my undisciplined thoughts. Forgive me for so often giving up instead of persevering despite my distraction. Forgive me for choosing the easy path instead of the more difficult, disciplined route. I really want to know You more. I want to spend time in Your presence, to learn to sit quietly at Your feet without a million thoughts distracting me. 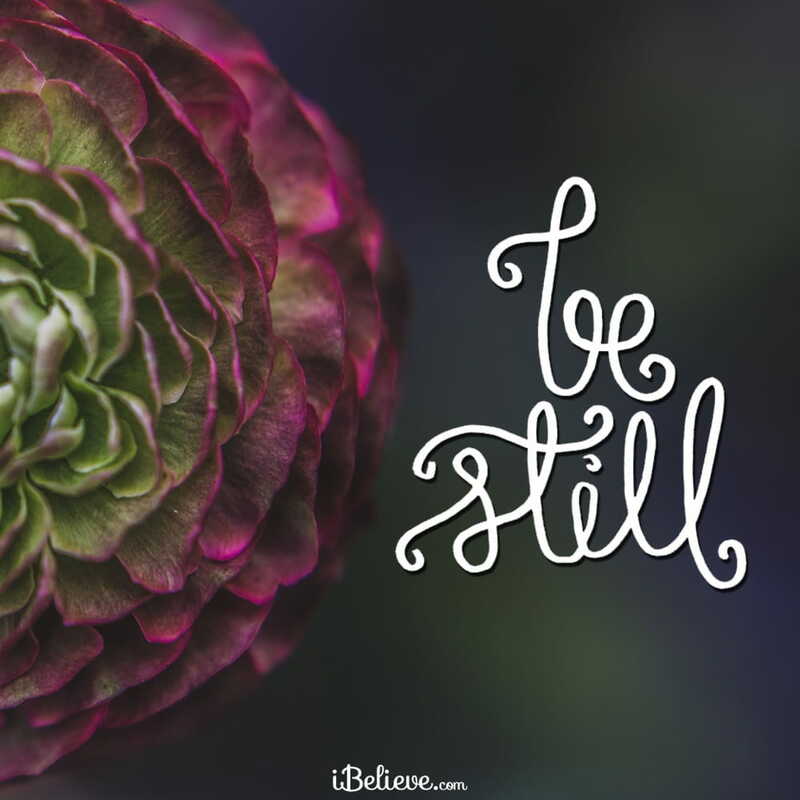 Teach me, Lord, how to be still. Like a Good Shepherd, lead me beside still waters. Quiet my soul. Bring order and calm to the chaos in my mind, so that I can spend time in quiet and joyful meditation with You. Thank You that you are willing and able to do these things, and that when I am weak, You are strong. Editor’s Note: Portions of this devotional were taken from Asheritah Ciuciu’s article, A Prayer for Focused Quiet Time. You can read that piece in full here.